Last month we announced the launch of our live availability feature on our agent portal, jenman.travel, with the promise of more tours to come. This month, the next eight Guided Group 2019 tours have been added. Allowing agents to book and confirm seats on these popular tours in real time, day or night. After logging in, simply click the "Book Now" button below the availability list of the tour of your choice, to secure the seat and booking. Click here to view a step-by-step guide. Where else can guests dabble in beekeeping, surrounded by fields of fynbos that flavour the honey they will be tasting? Only at the amazing five-star eco-paradise, Grootbos Private Nature Reserve Garden Lodge. Guests will be wowed by the natural beauty, exquisite food that's locally grown, and absolute peace and stillness of the countryside on this 4-day trip that includes free transfer to and from Cape Town International Airport. The Grootbos Private Nature Reserve Garden Lodge is situated on 2500 hectares of pristine wilderness providing a one of a kind African experience. 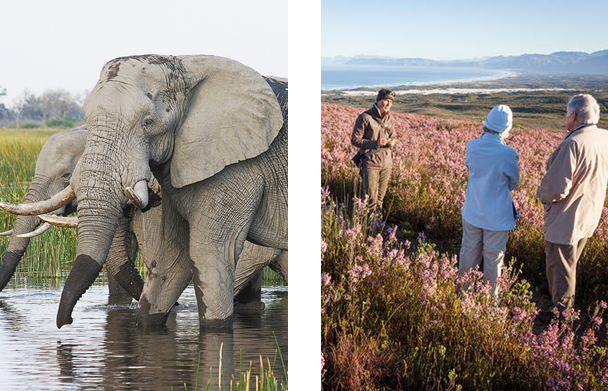 During their stay, guests can explore and experience the eco-adventures on offer at Grootbos Nature Reserve while enjoying the luxury accommodation and beautiful surroundings. Activities on offer include guided walks, horse riding, a Grootbos wine experience, and boat rides where you may even spot whales! Then to end it all off, a beautiful boma dinner in an indigenous Milkwood forest lit with fairy lights and lanterns. This package is full of magical moments waiting to be discovered. There will be no French departures for the Intimate Botswana and Zimbabwe Encounter 2019 tour. 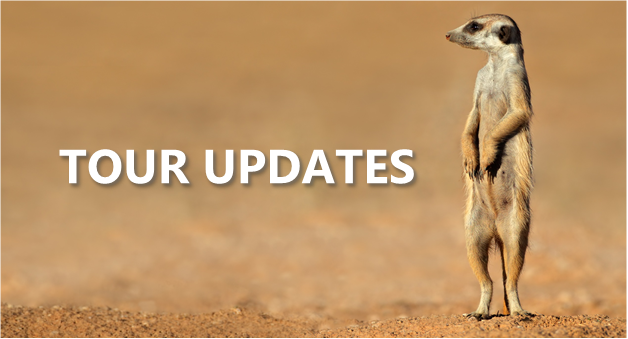 Chobe, Victoria Falls and Hwange Superior Package rate has been updated for 2019. Please re-download the tour price sheet to view the rate change. Our Great Trans-African Lodge Safari has had a change in the itinerary on Day 9. Guests on the tour will now continue via Rundu to visit the Mbunza Living Museum instead of visiting the Ju’Hoansi San Community, as previously stated. The amendment was made with the comfort of our clients in mind, reducing the time & distance travelled on deteriorating gravel roads, yet still offering them a distinct cultural experience. On the Great Kruger Walking Trek, the conservation levy for Klaserie Private Game Reserve has increased as of 1 Sept 2018. Please download the updated tour price sheet for 2018 & 2019. Earlier this year, international media raised concern about Cape Town's looming Day Zero, a day when the city would run out of water due to the prolonged effects of a 3 year drought. But we have great news: there will be no Day Zero in 2018 or 2019 and possibly never! Winter rains were better than expected and locals and businesses remained committed to reducing water consumption. 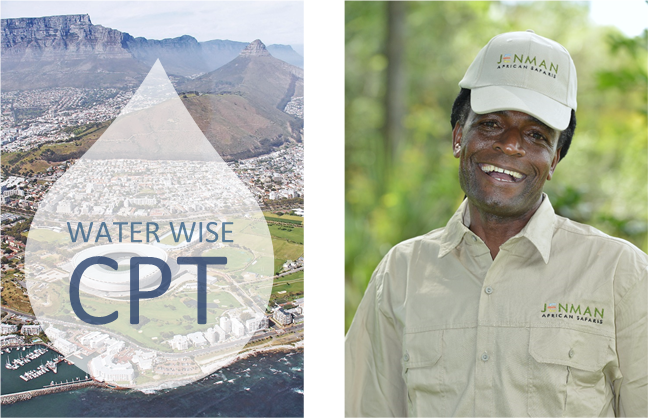 Tourism operators played their part too, Cape Town is the first city in the world to actively promote water-wise tourism, leading the charge in reducing water use and adapting quickly and efficiently to environmental changes. Within the space of a few short months, Cape Town is set to become most water responsible city in the world. Norbert's clan name, Ndlovu, means elephant and his clan views these gentle giants as part of their family. With almost 20 years guiding experience, Norbert's knowledge and expertise is finely tuned prompting guests to say the following: The knowledge of animals, tracking and amazing ability to see animals and birds that are camouflaged to you and I was amazing. Norbert's knowledge of birds was out of this world. Norbert hopes that his guests remember meeting people of different cultures with different lifestyles and customs as well as seeing animals in their natural habitat on their trip in Africa. It's important to him to give guests accurate information and if they ask a question he doesn't know the answer to he makes sure to find out to their satisfaction. 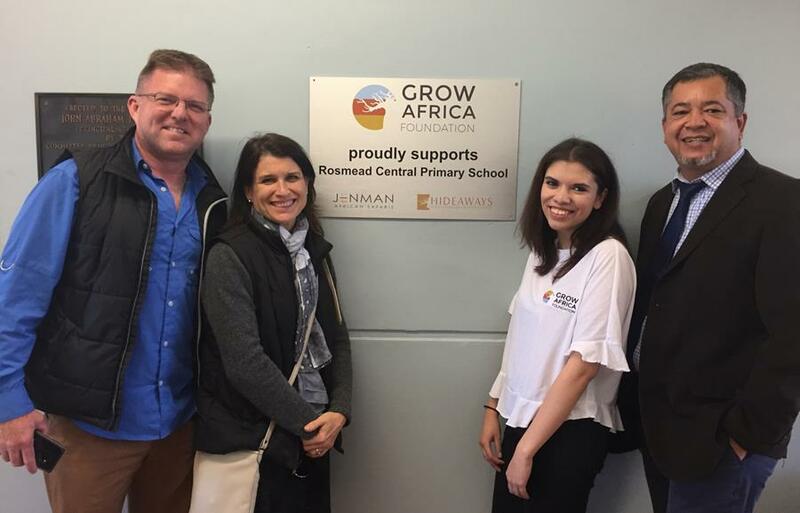 In August, the Grow Africa Foundation proudly unveiled its plaque at Rosmead Primary in Claremont, South Africa. The plaque commemorates the collaboration that the foundation has pledged to the school. The Grow Africa Foundation is committed to responsible tourism and one of the ways they do this is by supporting local communities, and building environmental and cultural awareness. This policy also extends to their immediate surroundings which is why the Grow Africa Foundation has partnered with Rosmead Primary through various initiatives such as the Grade R Big Five Aftercare Club with Jenman staff volunteers who play games with and read to the learners, as well as various other fun educational activities. The foundation also regularly provides transport for weekend hikes and nature walks for the learners. Through this fundraising, sponsorship and hands-on assistance, the organisation supports local community development projects. The foundation believe that the Rosmead Primary learners, as well as all children, need to learn in an environment that facilitates their development & maximises their potential in a happy and supportive way so that they can grow up feeling confident and secure.